And I get an ugly, long unformatted SQL, where I'm left pressing enter and tab a bunch to make the string somewhat readable. 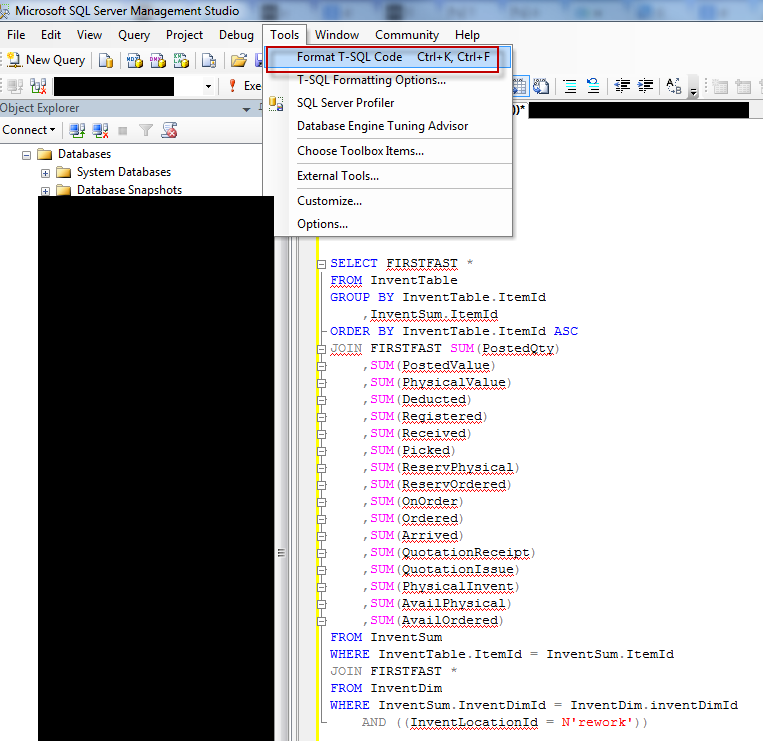 After some light googleing, I came across an open source SQL Server Management Studio (SSMS) plugin called PoorSQL. It can also be done online, hooked to Notepad++, etc, but I prefer the plugin. After pressing Ctrl+K,F, voila! So useful!